Fiskars Titanium knives are the latest innovation in cutting. They combine design with functionality in an innovative way. 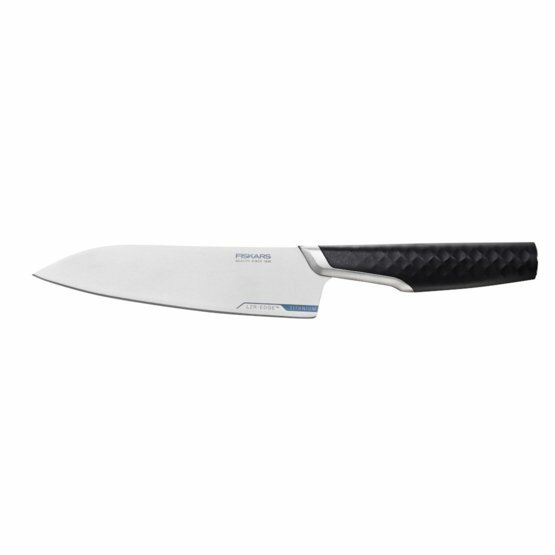 Titanium Cook's knife is an excellent, sturdy all-round knife for all cutting tasks. Knife blade is made of titanium, which allows extreme lightness and control in use. Revolutionary LZR-EDGE™ technology with titanium carbide particles on the cutting edge keeps the edge sharp 4 times longer than standard knives.